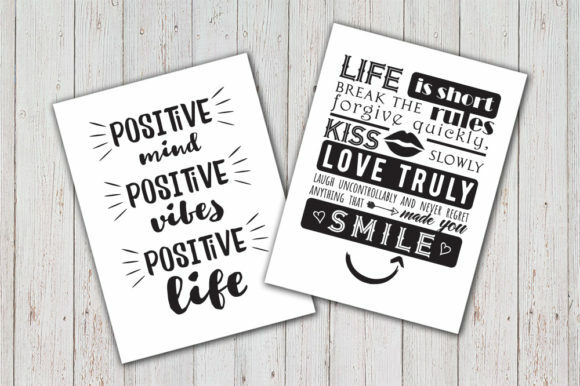 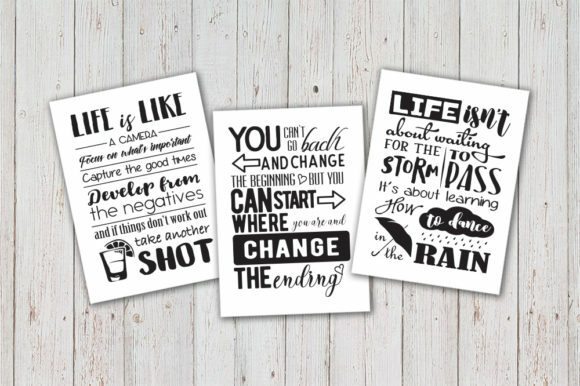 8 Inspirational Quotes vector Bundle. 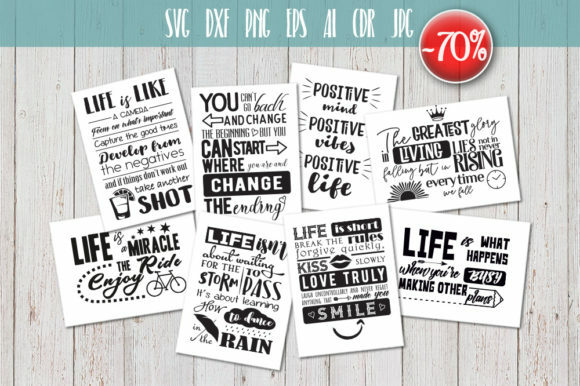 You can use them for various purposes, such cards, design of t-shirts, decoration, for making mugs, embroidery, prints, posters, heat transfer and many more activities. 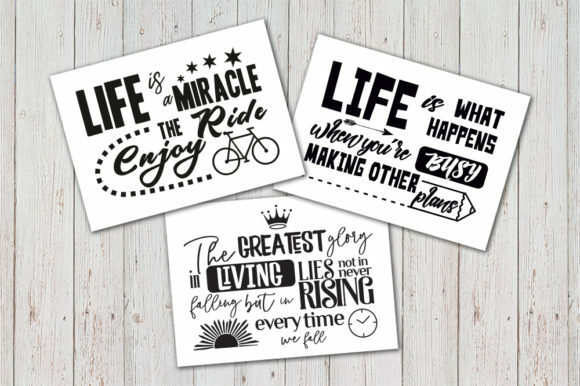 Life is miracle enjoy the ride.